What would it look like if I committed to bringing light to everyone and shared the plan! Even though he was under arrest, Paul maintained his faith that God was in control of everything. When I think of this in context of my life today, it gives me such comfort to know that God is in control. Then I think about the possibility of sharing that message with others. I know, sometimes we feel hesitant, we don’t know if it’s the right time or place to share the hope and promise of Jesus. Paul shows us through example that we too can gain strength by sharing the message in our times of weakness. Paul goes on in Chapter 3 to pray for spiritual strength. I love this moment and these words. It reminds me that each of us are named, each of us are absolutely cherished in His heart. Did you read that? Did you take it in? Rooted and grounded in love! How many times this week can we repeat that sacred text to ourselves in times of worry or anger or fear. We are truly rooted and grounded in God’s love. So rooted that we may have strength to comprehend his love for us. Paul wants us to see that God’s love for us is multidimensional. It isn’t just at church, not just at home in our Bible or our daily devotional. God’s love for us fills all the spaces. Paul calls us as Christians to go to Him. He reminds us that God truly wants to hear from us. Today’s message is so simple but to me it is so foundational. We can do better than survive each day. We can thrive in the knowledge of his love for us. 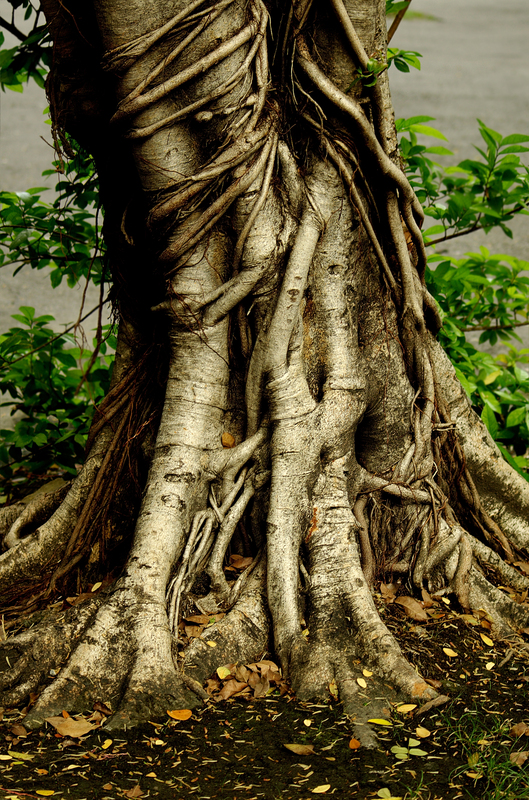 We are rooted in Him; nothing can separate us from our grounding in Christ Jesus. God, thank you for your words, help us to find our strength, to comprehend your all-encompassing love for us. Amen!